Physical fitness is not only an important part of our everyday lives but your pets as well - keep your pooch in great shape. 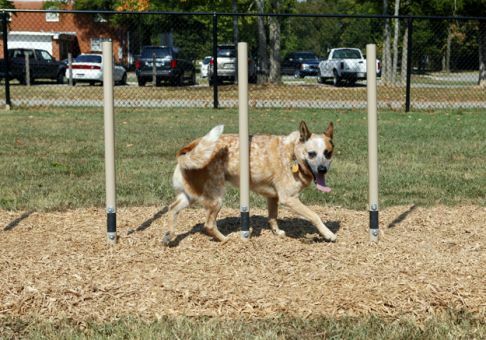 The BarkPark™ Flexible Weave Posts include two sets of three posts. The posts are attached to a surface-mount plate that allows for easy alignment and inground placement. 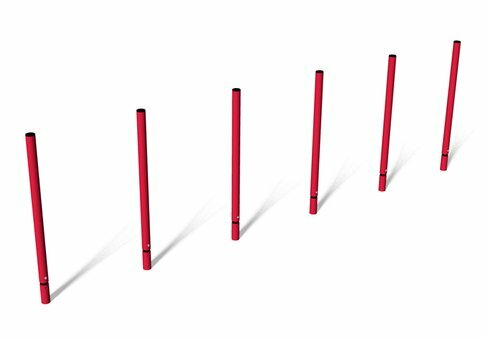 Each post is powder coated and has a flexible rubber stopper located at the attachment point that provides great spring action for smooth pacing even at top speeds.